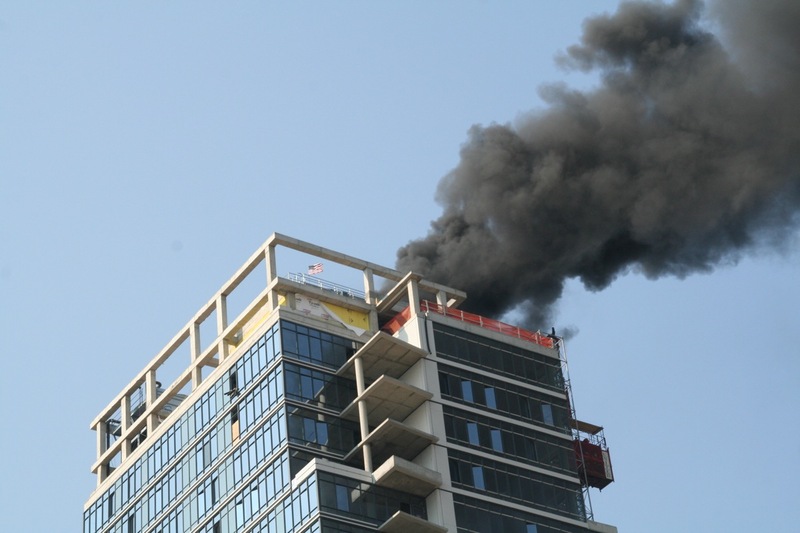 A GL reader sent this pic of the Northside Piers tower on the Williamsburg waterfront that was on fire about twenty minutes this morning. 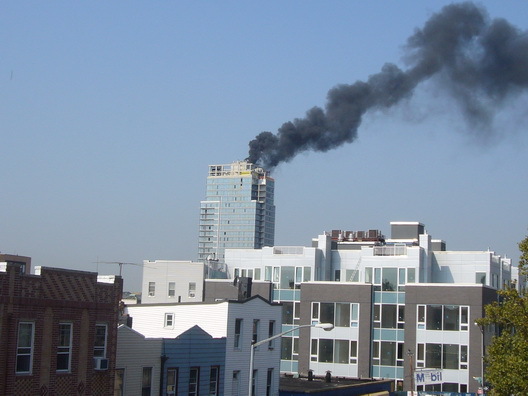 Williamsburg blogger INSIJS alerted everyone to the story and quickly posted a photoset on flickr. No word on cause, but it appears to have been extinguished relatively quickly. UPDATE: Gothamist reports that the smoky blaze was caused by a kettle being used to prepare roofing tar, which would account for the massive amount of smoke. There were no injuries.